Many women think that they already know everything about the pregnancy once they stay pregnant for the second time, since they have already experienced the entire process earlier. However, every pregnancy is different and brings different experiences, so many woman stay shocked when they face the second pregnancy, which is absolutely different from the previous one. Some symptoms that appeared during the first pregnancy might not appear at all in the second pregnancy, while on the other side, some new discomforts might start to emerge. 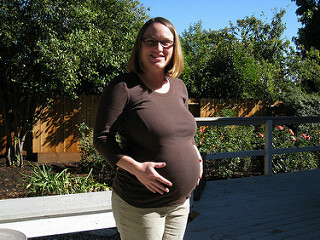 When a woman experiences pregnancy for the first time, she is all about that and the approaching delivery of the baby. When the second pregnancy is in question she already has a child to care of, so there is not enough time to worry about the childbirth. Furthermore, the time passes faster in the second pregnancy as compared to the first one and this is because the women in the second pregnancy have many things to handle. The symptoms in the second pregnancy may be the same as in the first one, but the main difference might be in the intensity. Breast tenderness is among the most typical signs of pregnancy and the pregnant women find their beast tender and painful to the slightest touch, while areola’s color turns darker than before. Fatigue and tiredness are also present in the second pregnancy, and they are of greater intensity since the pregnant women do not have much time for rest as they had while they were pregnant for the first time. The second pregnancy may also bring morning sickness, nausea and vomiting, and the pregnant women may also experience constipation, frequent urination and cramping followed by slight vaginal spotting. Even though the symptoms of both pregnancies are mostly the same, there are certain changes and differences between the first and second pregnancy. The majority of second-time-mothers may notice that they have to wear the maternity dresses earlier than the first time and this is because the uterus is not completely contracted after the first pregnancy. Thus, their stomach will be prominent earlier than in the first pregnancy. The second-time-moms will feel their babies’ movements earlier than in the first pregnancy and that is not because the babies start to move earlier in the second pregnancy but because the inexperienced mothers did not know how to recognize the baby’s movements during the first pregnancy. It is also observed that the delivery of the baby is faster when the second pregnancy is in question, but the pain after the childbirth is more severe than after the first pregnancy. Women that had bleeding & pregnancy symptoms, how did you know you were pregnant? What is the possibility of being pregnant after 2 periods and 2 negative pregnancy tests?